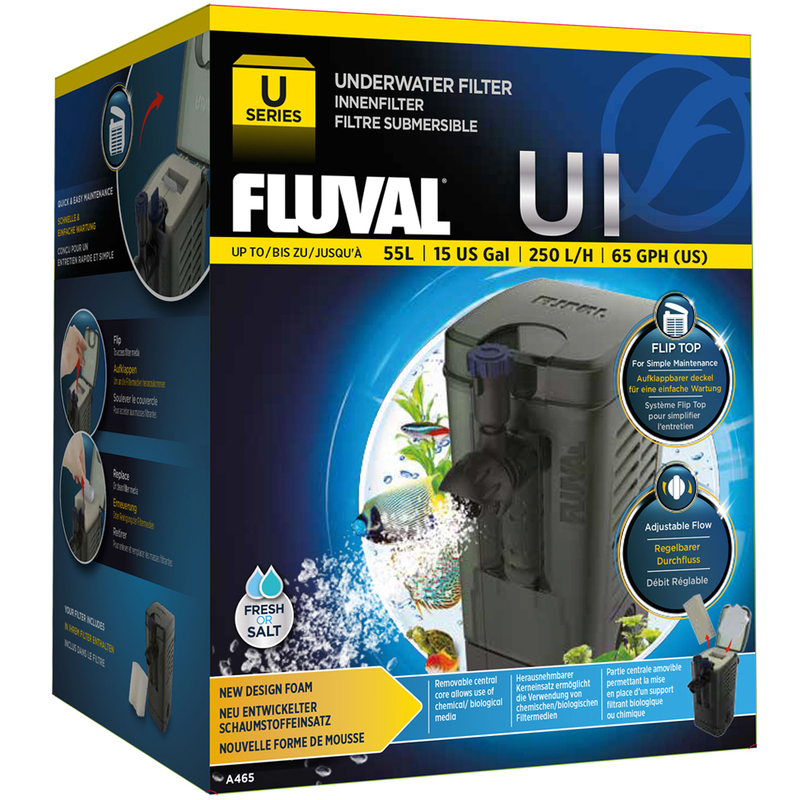 Designed for use in both fresh and saltwater applications, U series underwater filters offer superior water purification, movement and aeration capabilities. 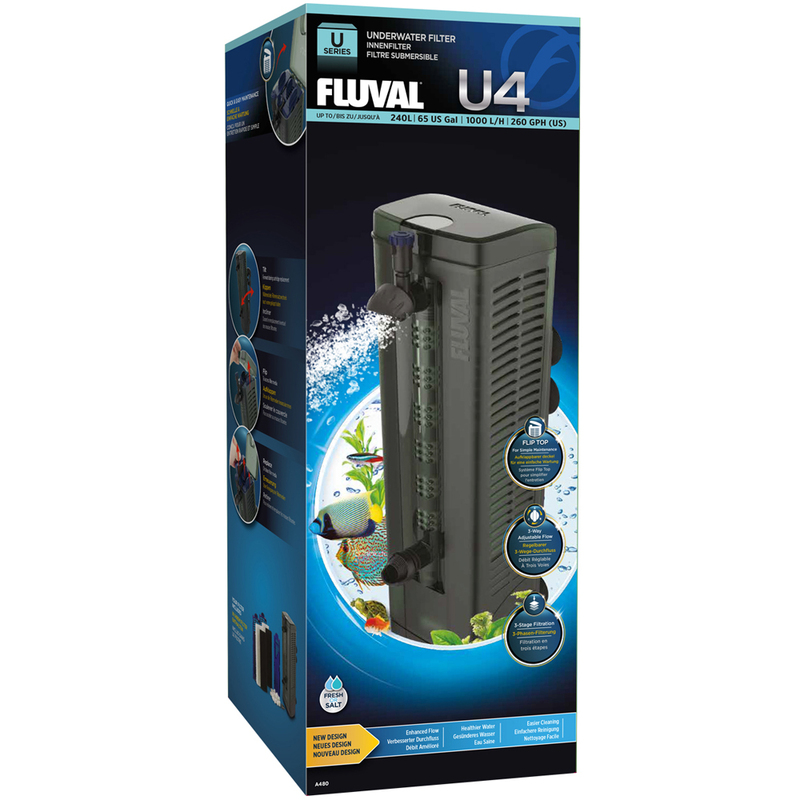 Whether you’re looking for a submersible filter that offers multi-stage cleaning, quiet operation, versatile horizontal and vertical mounting options or ultra fast media changes, U series has something to offer everyone. 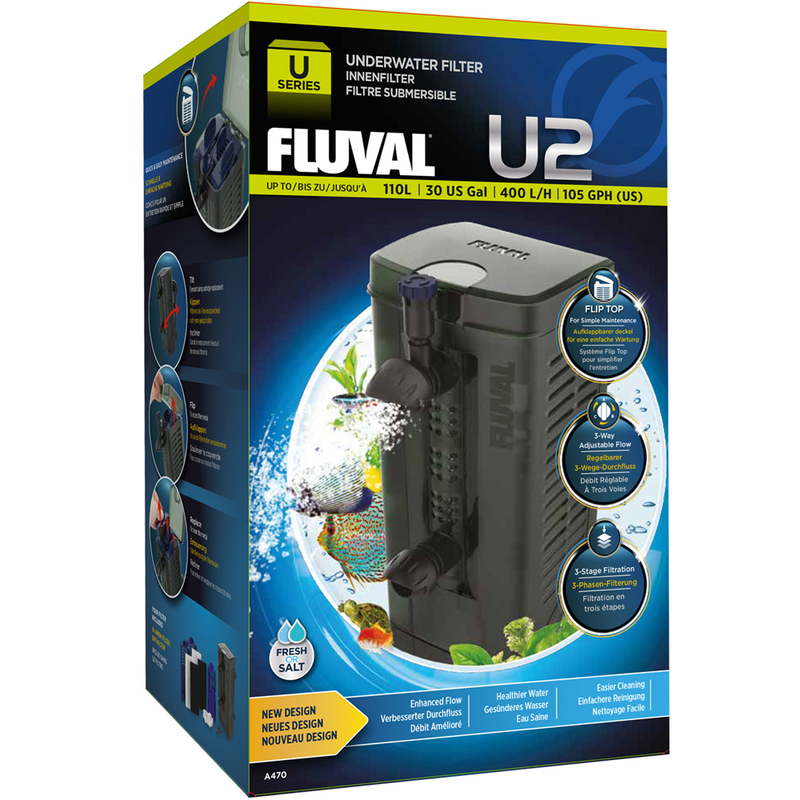 U series filters are also great for terrariums and turtle tanks. (U1 includes stage 1 only). Poly carbon pads remove fine debris, odors & improve water clarity. BIOMAX filter nodes biologically balance water chemistry for a healthy environment. Easy to remove for fast filter access. Spray bar for gentle flow in planted aquariums. 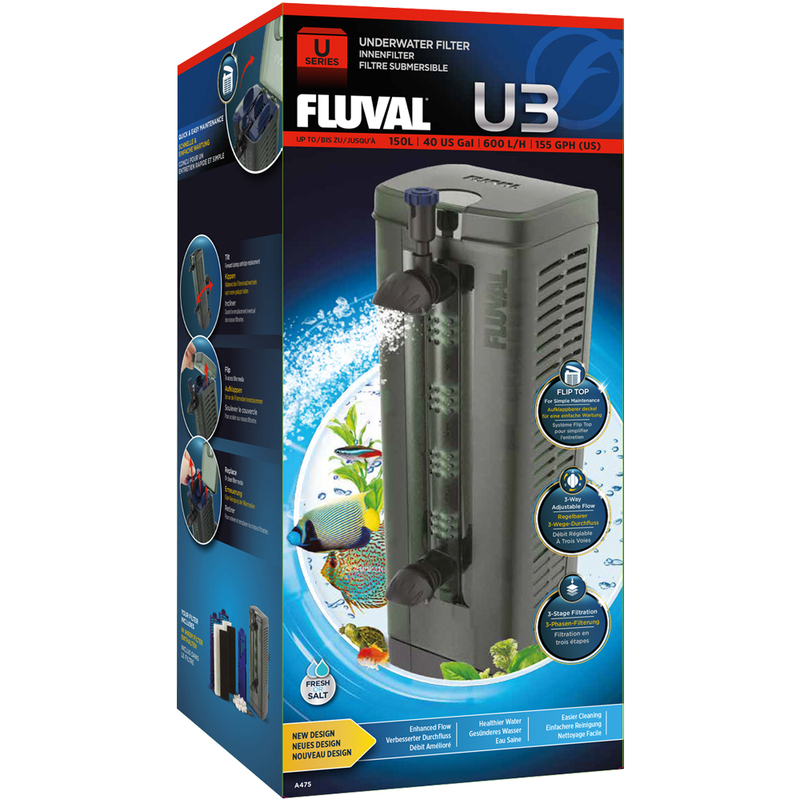 U Series filters can be used as a primary filter in smaller aquariums or as a supplementary filter for larger aquariums. To create currents or customize water flows. For shallow tanks, larger tanks with low water, or to create a decorative waterfall feature. (L x W x H) 4 x 3 x 6"
(10 x 8 x 15 cm) 8 x 3.5 x 4"
(20 x 9 x 10 cm) 10.5 x 3.25 x 4"
(26.7 x 8.3 x 10 cm) 13 x 4 x 4.5"